Not sure I seen this issue with Waves v9, For any waves v10 plugin i place on an insert, it loads successfully and the plugin GUI is response. However, when I close the plugin and reopen, it's all black. I will test this again tonight when I get home and update with a screenshot. Let me know if you guys see the same with Waves or any other 3rd party plugs. Thanks!!! Yep! I can adjust from the basic q-link view on the live, but the minute i closed the plugin (RVerb) and opened it back up it was gone. mistawil wrote: Not sure I seen this issue with Waves v9, For any waves v10 plugin i place on an insert, it loads successfully and the plugin GUI is response. However, when I close the plugin and reopen, it's all black. This happened to me too. Does this problem still exist with 2.5 out now? For me however I’m seeing it blacked out all the time... it seems that everybody else is able to see the interface until they click the “x” button?? 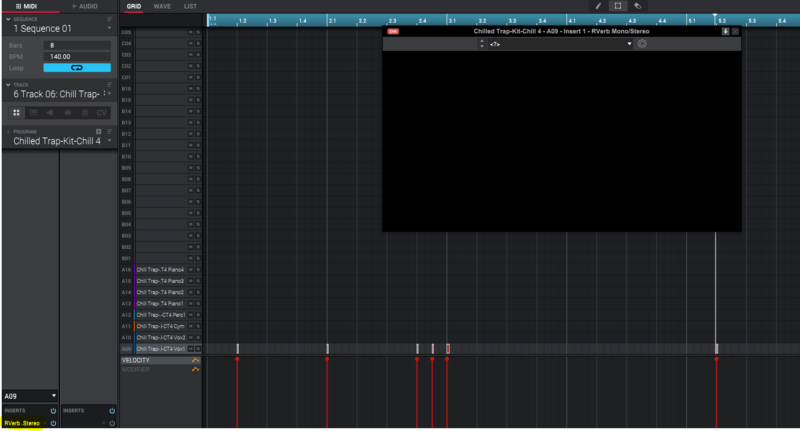 The odd thing is when I downgraded back to the 1.9 Akai software my Waves plugins appeared again with no problem! Then I reinstalled the 2.4 software again and the blank screen problem appeared again. I don’t get it. Has anyone else gone back to 1.9 just to see if they appear? At least now we know it is an Akai issue. I am going to call Tech Support on Wednesday and see what if anything they have to say. @tigersharc1 Good luck on that fam. I’ve sent 2 emails to Akai and haven’t gotten any response. I also called. They asked for my info so they could call me back when someone was available.........nothing. Waves on the other hand will respond ASAP! Mighty1 I hear you.... I just got off the phone with Akai. As you can imagine the tech team had no reference material on this issue. The dude I talked to sent me an email so I could send screenshots as well as information to go with what I sent. I have a feeling like you this isn't going to get fixed. This is a mass production money machine that grabs up impulse buyers and keeps it moving despite issues. The next shiny thing that comes along ....SPLICE ....and some forget about the previous problems. They must have forgotten that those who use the Renn don't have or need Splice since the option wouldn't work for us..... So I still see my problem... nothing shiny to distract me.